Wayman Flight Training has partnered with Ft Lauderdale based Silver Aiways to provide guaranteed interviews for students, alumni, and flight instructors. A career in aviation requires passion. This determination helps local South Florida students succeed though the demanding process of learning how to fly with the goal of reaching the airlines. Wayman Flight Training has entered into a partnership with Silver Airways to help bridge the gap between learning to fly and becoming a professional pilot. 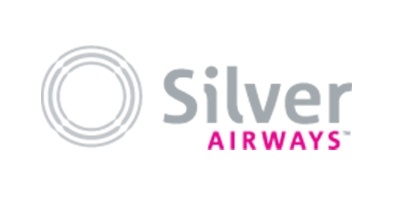 Silver Airways is a regional airline that has operated out of Ft Lauderdale International Airport since 2011. It flies over 150 scheduled flights a day throughout Florida and the Bahamas. This partnership will help students and instructors that have over 1,000 hours interview for a position with the airline. They can be hired once they reach 1,500 hours of total flight time. This helps local students reach the next level of aviation without having to relocate across the country. Young pilots often "commute" cross-country putting a lot of strain on themselves and families. Wayman & Silver look forward to a long and succesful partnership strengthing aviation in South Florida.